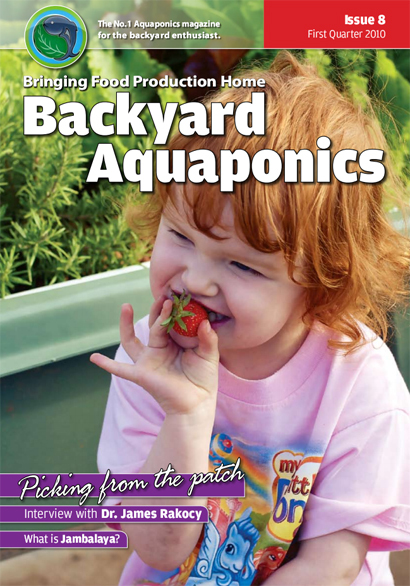 The eighth edition of the Backyard Aquaponics magazine is packed with aquaponics information. Details about some of the articles are available below along with some sample pages. This edition is available as an electronic magazine for immediate download. The download file is a PDF, approximately 5MB in size. Commercial NFT Wilson Lennard gives us an overview of an NFT system he recently built in New Zealand. Wilson is a well-known aquaponics enthusist with plenty of knowledge to share. A rarely used vegetable in western cuisine. Yet it is one of the worlds ‘wonder foods’. A staple for the ancient Aztecs, Okra contains a multitude of minerals and vitamins. A very intersting article following the story of one family, and their efforts to eat from their system daily. Their blog has been very popular and now has a large readership. 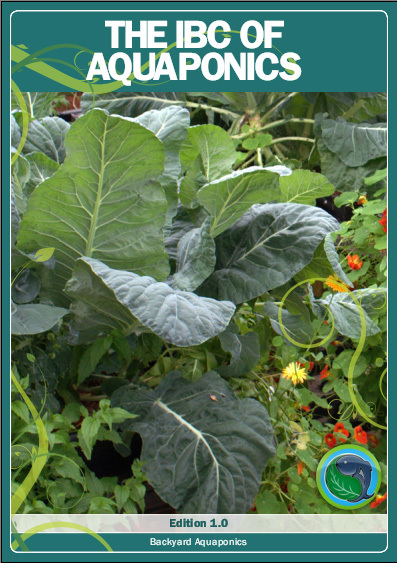 Faye Arcaro talks about one of the most common winter pests – the white cabbage butterfly and how to organically control them in your garden. A must read for everyone. An exclusive interview with Dr. James Rakocy, about the research and development of aquaponics. 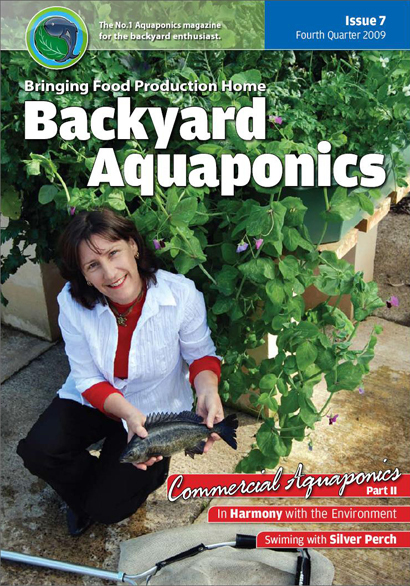 Dr. Rakocy is a leading specialist in the field of aquaponics. A very commom and extremely delicious, home style receipe, featuring okra as a main ingredient. This meal was a staple for African-American slaves.